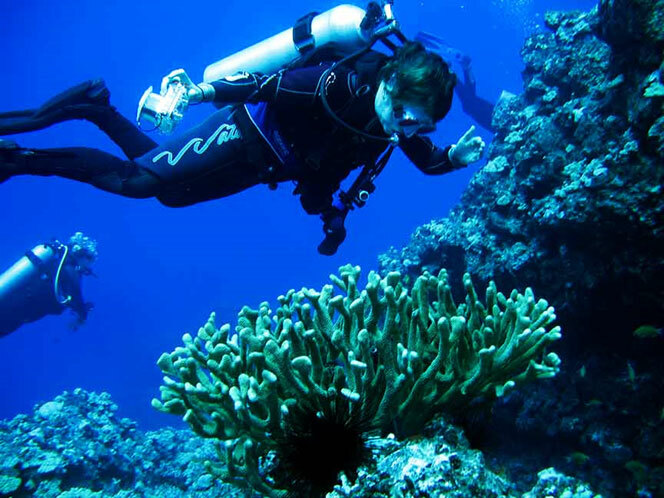 The always warm waters of Hawaii are very attractive and popular with scuba divers. There are many exciting dive sites around the 123 islands. We created the list of the most popular dive sites for you. 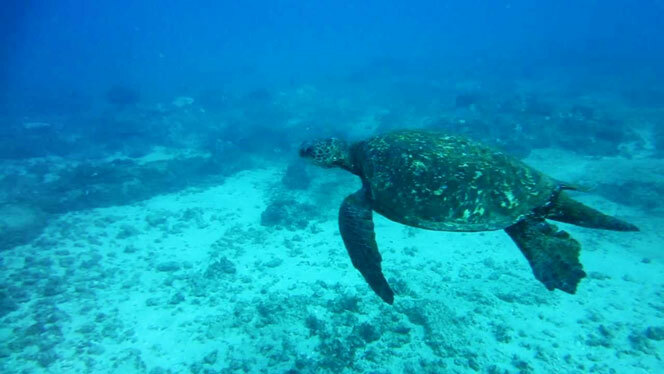 Kauai is the least populated of the islands and the tourism is limited, but it is not an obstacle for great scuba diving. And no wonder that Sheraton Caverns draw the most divers. Its lava tubes and arches offer plenty of hiding spots for diverse marine life. And the sea turtles are countless. This site can only be accesed by boat so make sure to reserve a spot. The depth is 30-35 feet. The Big Island of Hawaii is the biggest of all islands and does offer the best volcano tours. But excellent scuba diving spots are there like Puako that boasts the most beautiful reef stretches and is filled with caverns, arches and openings. These unique formations just call for investigation. And eels, manta rays, dolphins, sea turtles are often encountered there. 90 feet deep and can be accesed by either boat or via shore. Pentagon is an intriguing spot, named after a 5 exit unique lava formation covered corals and filled with bright fish, eels, helmet shells, porcupine puffer fish and sea turtles. It is 30 feet deep and is accessible by boat. And if you are staying on the main island of Oahu do not skip scuba diving there. 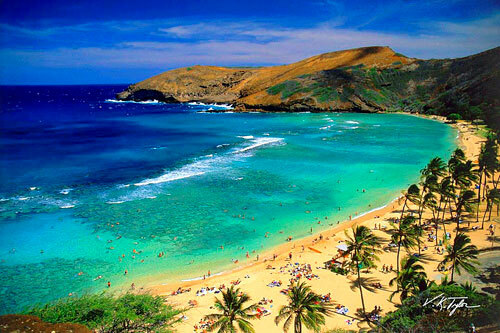 Plenty of sites available and the most popular and crowded is Hanauma Bay is not very deep about 15-50 feet and can be accesed through shore. 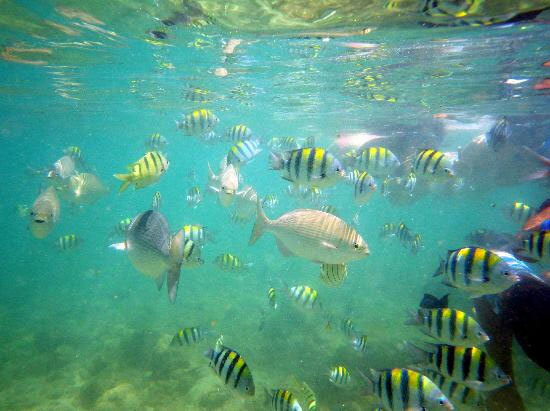 You will get the feeling of being in an aquarium with friendly fish and gorgeous corals. The bay is a nature preserve and is protected by the state. The site is closed every Tuesday and the fee admission fee is charged for everyone older than 12 years old. Sharks Cove is one of the most visited dive sites in Hawaii due to being accessible through shore and just 15-50 feet deep. It is located on the North shore and is being rated many times as one of the best shore dives in the world. 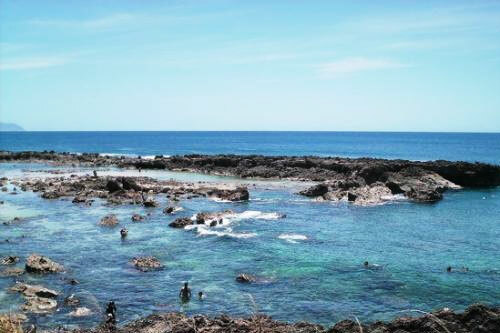 The lava rocks, beautiful shark-like coves and marine life is a must see. The parking is rather small so make sure to get there early in the morning. It is not recommended to bring small children there. Public restrooms are available at this site. Kahuna Canyon needs mentioning since it is called the underwater Gran Canyon. 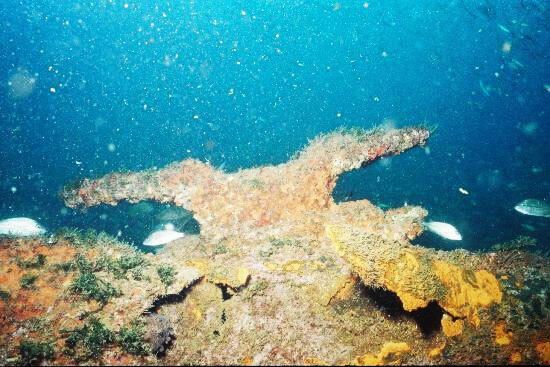 Filled with marine life this boat accessible dive is 35-100 feet deep and is very memorable.